New to ARC? Come say hello here. Each quarter members will select a new reef-related book with the goal of continued education and discussion for the club. Check here for important changes happening at ARC. Official ARC meeting date/time/locations are announced here. 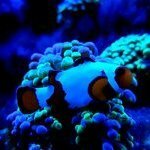 This forum is for general reef and marine aquaria discussion. Keep an ongoing thread about your tank! Get a quick reply to that urgent situation. 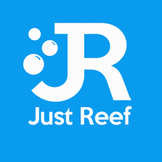 Have a tank or reef-club related video of your own that you'd like to share? Contact a moderator or administrator to have your video added to the Austin Reef Club channel on Youtube! Discuss cameras and shooting techniques. Post your photos in the gallery. The less salty-side of the hobby. Discuss freshwater/brackish/ponds here. A place to post off topic discussions, should be club relevant. 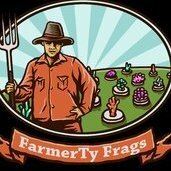 Only Premium Members may list items for sale or trade. All members are welcome to purchase or respond to listed items. Items listed for sale should have a price. You asked and we listened. Here's the place to rate vendors (local, online, wherever) on a list of pre-selected categories so that your fellow reefers can benefits from your first-hand knowledge and experiences. The poll format is intended to keep things factual yet informative. Kessil - I love thee. In its 31st year as an industry leader in the design and production of high quality, water purification equipment! Providers of fine aquarium products, livestock, and dry goods. Makes and sells the Salty Zapper, a way to rid your tank of pesky aiptasia. Dedicated to promoting public interest in the marine aquarium hobby and the advancement of knowledge in the husbandry of closed ecosystems. NTRF is an organization of marine aquarium enthusiasts with an emphasis dedicated to the education, knowledge and ethical husbandry of sustaining marine life in a captive environment in the Dallas/Fort Worth and North Texas area. The Saltwater Club of Central Texas represents hobbyists in the Killeen, Temple, Ft. Hood, Waco and surrounding areas.